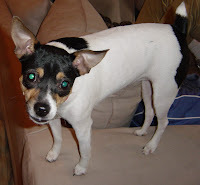 A few years ago, when I was in the midst of my internship year at Friendship, my rat terrier Sparkle suddenly developed severe neck pain. She hid under the bed and would scream anytime I touched her. She was six years old at the time, and had previously been one hundred percent healthy. Needless to say, I was completely freaked out and immediately started imagining all the horrible diseases that could be causing her discomfort. It was this episode that solidified my opinion of Dr. Bush -- of Bush Veterinary Neurology Services (BVNS), -- as my all-time favorite specialist in the area. I called him very upset and he instantly squeezed me into his schedule, which was already jam-packed. Prior to these events, I had frequently spoken with him on the phone because he allowed the doctors at Friendship to call his cell phone whenever we had questions on cases with neurologic issues. The fact that Dr. Bush permits Friendship veterinarians to call him at any time of day or night shows how dedicated he is. We have amazing specialists in DC but, besides Dr. Bush, I don’t know of a single one who will answer a cell phone at one in the morning to discuss a case. Not only that, but I have never called with a patient in need of a neurologist and been told Dr. Bush and his colleagues are unable to see the referral. It is such a comforting feeling to know I can assure my client that without a doubt their pet will be seen by a neurologist within the next twenty-four hours or less. 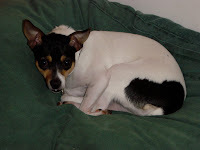 Sparkle’s neck pain resolved with medical management and she has not had an issue since. (It is possible that, being the neurotic pet owner that I am, I may have overreacted!) Regardless, I have been a dedicated fan of Dr. Bush ever since, and refer all of my patients that need the attention of a neurologist to BVNS. Since my visit with Sparkle over three years ago, BVNS has grown tremendously. Dr. Bush now has two board-certified neurologists and three veterinarians who are completing advanced training to become neurologists. In addition, he has an MRI located at his clinic, ensuring that his patients can have advanced imaging when they need it rather than rely on an outside service. Taking your pet to see a neurologist is rarely a desirable event as it is usually precipitated by a scary event such as seizures or paralysis. Here in DC, we are lucky to have the doctors at BVNS to turn to when neurologic disease strikes one of our pets.